Tree roots in pipes don’t like to be in water all the time. Fine tree roots grow through the top of the pipe joints and then down into the water flow. In permanently water charged ground, tree roots rarely appear in the sewer because they don’t like to be continually immersed in water. Clay sewer pipes are a great opportunity for tree roots to get in your pipe line. These pipes are usually 2-3 foot or 600-900mm long. So, in a 100 foot (30 metre) pipeline, there could be up to 50 individual pipes and bends and junctions. 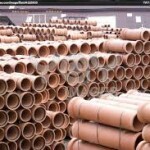 That means there are at least 50 pipe joints for a tree to get its roots into your sewer pipes. It helps explain why you can have multiple blockages in your pipes. And why fixing where the roots are getting in today doesn’t mean the tree roots wont get in a few pipe joints along. Vaporooter should treat every joint in the pipe line. Trees are more likely to grow into sewer pipes than stormwater pipes. Every day we use our plumbing sending that water and fertiliser combination along the pipeline for the trees and their root systems to drink their fill. BUT, stormwater pipes only carry water when it rains, which in this country is fairly unreliable. If I was a tree and had a choice of putting my roots into a sewer pipe or a stormwater pipe, I would choose the sewer pipes because every day, as regular as clockwork, I will be fed and watered. If I chose the stormwater pipes, I may die of thirst! 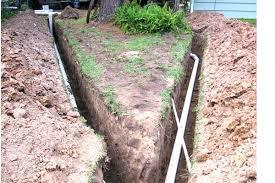 Tree roots usually enter your pipe line through the pipe joints. 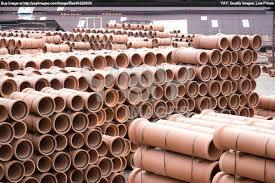 Did you know each clay sewer pipe is usually 2-3 foot long, that’s 600-900mm each? So, in a pipe line 100 feet in length (30 metres), there could be up to 50 individual pipes with bends and junctions. That means there are at least 50 different places for a tree to get its roots into your sewer. That’s a lot of opportunity for tree roots searching for moisture in our hot Australian climate with unpredictable rain fall. If you’re considering pipe relining, root cutting or a pipe renewal as options for keeping the roots at bay remember, the tree roots can just move down to the next pipe joint that hasn’t been protected. When will you do my Vaporooter? I just had a phone call from Deborah wanting to know when we are doing her 2017 Vaporooter treatment. You’ve been coming every year since 2010. “Oh, my pipes aren’t blocked but, I don’t want to go back to those days with horrible sewage overflowing and my toilet won’t flush” she said. Deb has a large fig tree growing on the nature strip at the front of her home. Apologies for the wind noise at the start of this 2.01 min clip. In my last post I described how tree roots can easily travel through the soil loosened by excavation for your pipe installation. 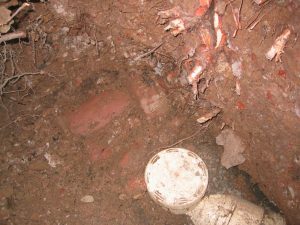 Do you know why tree roots grow in sewer pipes from the top of the pipe joints? Condensation is formed when we run water from our water pipes, through our drains. Especially when we have a hot shower, wash our clothes or dishes in hot or warm water. When the warm water enters the drains buried in the cold earth, condensation is formed, and it gathers on the inside top of our sewer pipes and drains. The tree roots moving through our already loosened soils can now move along the top of the pipelines and are attracted to the warmth and moisture inside. All they need now is a way into the pipe. This 1.58sec clip shows how.